Find Rapala’s recent fishing title a bit too intensive for your tastes? 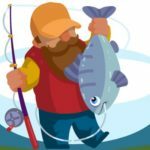 You might want to check out Fisherman Fisher, a new Android and iOS fishing game from Bluewind that offers a more casual, fun take on fishing. To be clear, this isn’t really a fishing simulator like Rapala Fishing – Daily Catch, but more of an adventure-based game where you can catch fish with various sea adventurers. You can still catch different types of fish, but do so with a simpler game mechanic that’s tailored toward “lovers of auto-progress games.” The game doesn’t really talk much about its other features, but Fisherman Fisher is, in summation, a game that’s more of a casual time killer for “seekers of addictive games” and those who gravitate toward clicker games and/or puzzle games. Despite the simpler premise in this game, that doesn’t make it any less worthy of a long, detailed look at the different things you can do to ensure your success. So read on, as we now bring you a comprehensive list of Fisherman Fisher tips, tricks and cheats for players of all levels, with general hints of all kinds. Fisherman Fisher, as mentioned above, appeals to those who prefer clicker games. One reason why this is worth highlighting is because it’s advisable to tap the fish, or any other icon located above your fishermen, so as to quicken the fishing process and fill up the Fishing Frenzy meter. If you fill up this meter, you would then unleash this game’s version of “Fever Mode.” That’s a few seconds where you can catch a ton of fish and earn a ton more money, while accumulating a whole lot of materials. Take advantage of that Fishing Frenzy, but first, make sure that you’re doing what you could to fill up the Fishing Frenzy meter. Unlike other “idle clicker” games, Fisherman Fisher won’t do anything when you’ve got the game turned off. Your fishermen won’t catch any fish if the game isn’t running, and that has been a problem for many gamers, to be perfectly honest. What you may want to do, instead, is to let the game run while you’ve got your charger plugged in. While you may have to return to the game to sell your fish and free up some of your ship’s capacity, you can otherwise focus on other things while letting the game run idly. You can make lots of progress this way, so don’t hesitate to leave the game on. The game comes with its share of fish selling missions, which you can access on the upper left portion of your screen. You’ll see a man who gives out missions wherein you have to deliver a specific number of fish. Do as you’re requested and the man will pay you twice the fish’s market value. You can sell the fish that don’t fit into his requirements, and keep the fish this man requires so you can complete his missions faster. No, it’s not just completing the above mission when it comes to selling fish in this game. As you progress in the game, there will come a time where you don’t have to do this too often anymore. But in the earlier parts of the game, you’ll want to pay attention to fish market trends. Sell your fish when the market price is rising; you’ll know that if you see a blue arrow pointing upwards, next to any given fish. This could allow you to net a tidy profit, especially when you’re selling higher-level fish. 5. How Does The Monsters Mechanic Work? We did mention conventional fishing games above, but Fisherman Fisher is not a conventional fishing game. There will be some situations (or a lot of situations) that you cannot sanely expect in an actual fishing environment, such as the presence of monsters. You will occasionally be asked if you want to fight them and send them to jail, with resources serving as a reward for doing this. At first, you’ll only have three cells for the monsters, with the succeeding one costing a whopping 1.2 million coins. How can you afford the cost of that additional cell? Well, it’s just as simple as selling the monsters you’ve already caged. A super-common one-star monster, for instance, can earn you 100,000 coins if you sell it. That’s only a twelfth of 1.2 million, of course, but remember that monsters do appear from time to time, and you won’t run out of monsters to fight. Sell monsters so you have a cage or two available for capturing the new ones; this might prevent you from collecting lower-end materials, but on the other hand, this is a great way to earn money quickly. At some point in the game, you’ll require higher-end materials so you can properly upgrade both your ship and your crew. But you’ll still move forward like you usually do, with the lowest-level materials being needed first, as you work progressively toward the highest-level ones. So if you would begin to require Rotten Branches, for instance, you won’t need Conch Shells anymore for upgrade purposes, and may want to sell them so you can earn some extra money. But should you always sell them in order to earn additional money in the game? To answer the question we were asking above, the answer would be no – in the above example, Conch Shells would still be needed for producing the next material. Generally speaking, you want to craft about 50 or so of the next material once there’s a certain material you no longer need. Once you’ve finished crafting, you can then sell anything you have in excess. Repeat this process with succeeding sets of materials, and you should almost surely have more than enough materials for upgrades once you‘ve got the money. In addition, you’ll be optimizing your material storage that way. Just remember to check the count and type of materials needed for your next upgrade so you aren’t unprepared in any way. The game comes with over ten skills for you to purchase, and then upgrade, with one of those skills requiring premium currency. They all do different things, and some skills are better than others, but in general, they all cost a good deal of money. So which skills should you focus on and which ones should you ignore? 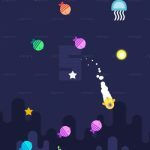 We suggest Charm, as that helps you earn more money, and Leadership, which gives you more speed and success in mini-games. Surprisingly, the skills related to fighting monsters and gaining materials aren’t too useful, especially the latter ones, because materials are collected naturally throughout the course of the game. 9. How Does Reincarnation Work? The good part about reincarnation is that you can bring a dead Captain back to life (of course), but the bad part is that you’ll lose a good percentage of the items you already purchased. You can take solace in the fact that the Captain keeps his skills, but most of his items, any Elementals, and the Adventurer are all gone after reincarnation. But at the end of the day, the benefits of reincarnation outweigh the disadvantages. Reincarnating your Captain, mainly, gives you Black Stones as a reward, with the number of stones based on your ship’s level. With each level, you earn better rewards for reincarnation, though you should also remember that each new level becomes progressively harder to reach. Still, you can use this easy technique when it comes to reincarnation – reincarnate for the first time once you’re at Level 8, add one level after you’ve reincarnated, then repeat the process again at Level 9, Level 10, and so on, and so forth. 10. Which Mini-Games Should You Play? Fisherman Fisher has some mini-games you can play once you reach a port, and for the most part, these are optional games that can earn you extra goodies, but aren’t really required for your in-game progress. We still advise you to play these games, as they can earn you Black Stones. You’ll be asked to spin the wheel twice for some freebies, and Black Stones should always be your target; if you don’t score enough with your two tries, you can use the free chance. A good number of times, you’ll earn money for spinning the wheel, but since that’s so easy to earn while playing the game normally, you don’t want to settle for that. Black Stones and Gems, on the other hand, are hard to come by, and you should aim for one or both, especially the former, when spinning the wheel.